We welcome British band Treetop Flyers to the World Cafe. 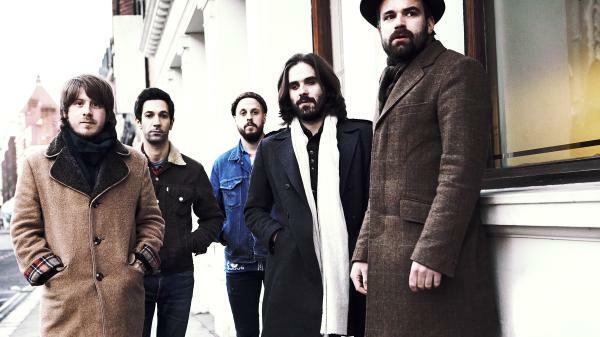 They are a folk-rock five-piece that initially turned heads on the main stage of the 2011 Glastonbury Festival. They won the spot through an "emerging artist" competition. From there, they were signed to Loose Music in the U.K. and to Partisan Records in the U.S. and put out their debut full-length record, The Mountain Moves, in June of this year. Their music is very much inspired by California in the '70s, so it was not much of a stretch to decamp to Malibu to record their debut.